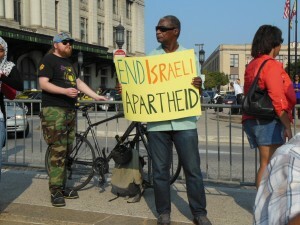 Three demonstrations were held in Baltimore last week, allowing area residents a chance to speak out on the current conflict in Gaza. Presenting opposing sides of the conflict, the events were sponsored by student led groups from Johns Hopkins University. On Wednesday, protesters representing both Palestinian and Israeli concerns gathered along North Charles St. at the Penn Station for two raucous rush hour rallies followed by separate marches to North Ave. 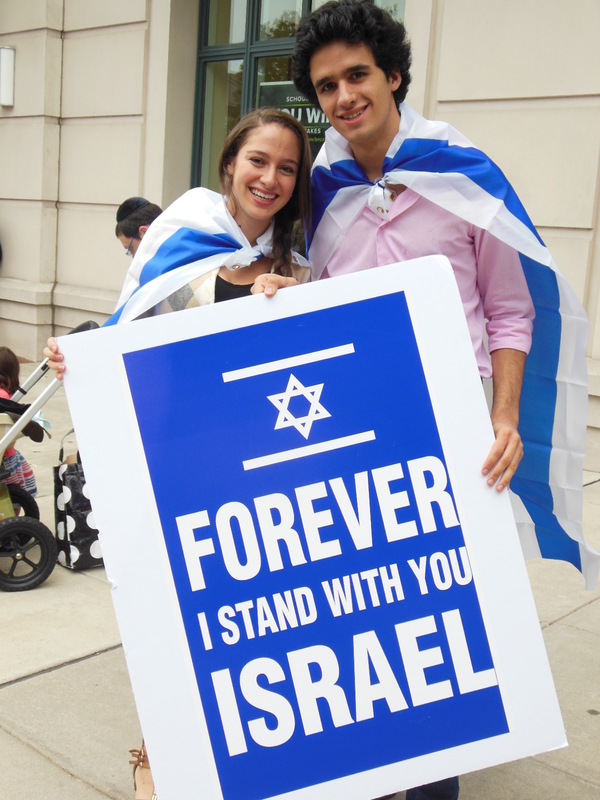 The Baltimore Post-Examiner estimates that participants on the Pro-Israeli side numbered in excess of seven hundred. A smaller but no less enthusiastic crowd of about two hundred demonstrated for the Palestinian side. Rudy Stoler was one of the participants who caught a chartered bus to Penn Station from the Greenspring Shopping Center. The shopping center also hosted The Bomb Museum exhibit last week. Stoler noted that for many in the Baltimore Jewish community, the ongoing conflict hits close to home. For Frank Lee of Baltimore, the conflict also has a personal facet. Lee’s suggested source for accurate reporting on the current crisis? Conversely, one pro-Palestinian protester compared Israel’s actions in Gaza to apartheid. When asked to expound on that statement, he admitted he really did not know anything about the history of the conflict, but was nevertheless supporting the Palestinian side because his wife is Muslim. Friday’s rally on the corner of St. Paul and 33rd streets was decidedly smaller but no less animated, drawing about fifty people to demonstrate for the Israeli cause. Unfortunately, a special guest speaker from the Israeli embassy had to cancel his appearance after it was learned that Hamas broke a 72-hour cease-fire agreement and captured a young IDF officer while also killing two IDF soldiers. 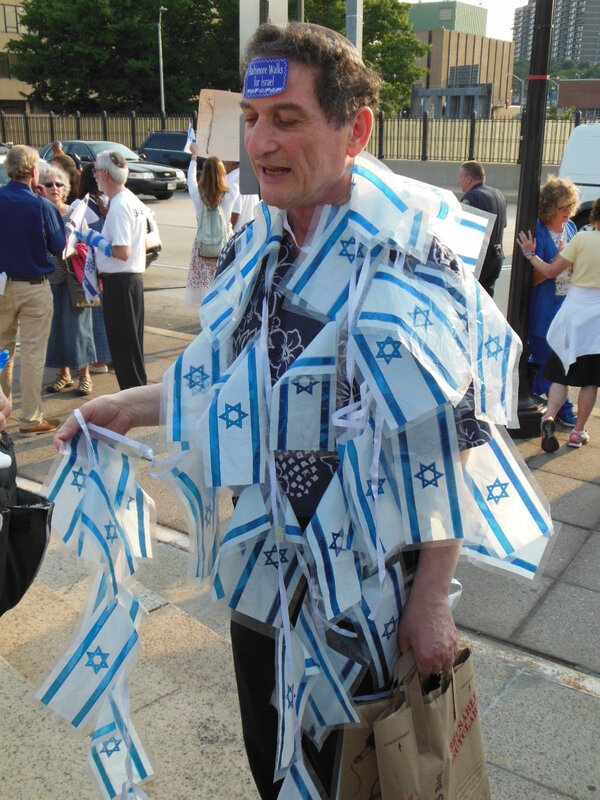 Pikesville resident Lev Bar-Av said he attended both rallies to encourage American support for the Israeli cause. Though emotional, the nonviolent nature of the protests cannot be overstated. At Wednesday’s demonstrations, the Baltimore City Police Department did an excellent job maintaining order; keeping the two sides at arms length to ensure a peaceful event. There was also a police presence on Friday for the pro-Israel rally. Some have worried that student sponsored demonstrations could lead to anti-semitism at Johns Hopkins University. Hopkins student Ryan, a participant at Friday’s rally, was asked if he has seen any troubling signs on campus. Event co-sponsor Nicole agreed with Ryan’s take on civility at Hopkins, pointing out that Johns Hopkins is one of the few schools to out-rightly reject the proposed American Studies Association (ASA) sanctions against Israeli academics. Among other things, the sanctions would have prevented interaction with Israeli universities and the publication of academic papers sympathetic to Israel. Still, Nicole wondered about what she considers ignorance of the issues surrounding the conflict and a corresponding rise of animosity toward the Jews. “How long has it been since World War II,” she asked, “Seventy years? And you see these tweets and hashtags that say, ‘Bring Hitler back to finish what he started.’ That’s very scary and sick to me. 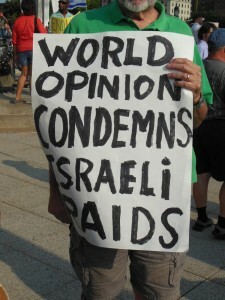 I’m afraid those sentiments are a result of what is being espoused by pro-Palestinian groups. That’s what they are encouraging their followers to do.